Dispersion features an animated gradient background image which is randomized on each page load and overlaid by a selected image from the background picker. 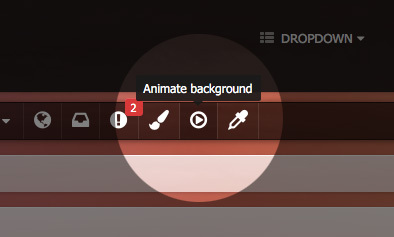 The gradient is both created and animated (in compatible browsers) using css and your visitors are given the option of using a greyscale background by clicking a simple toggle button. 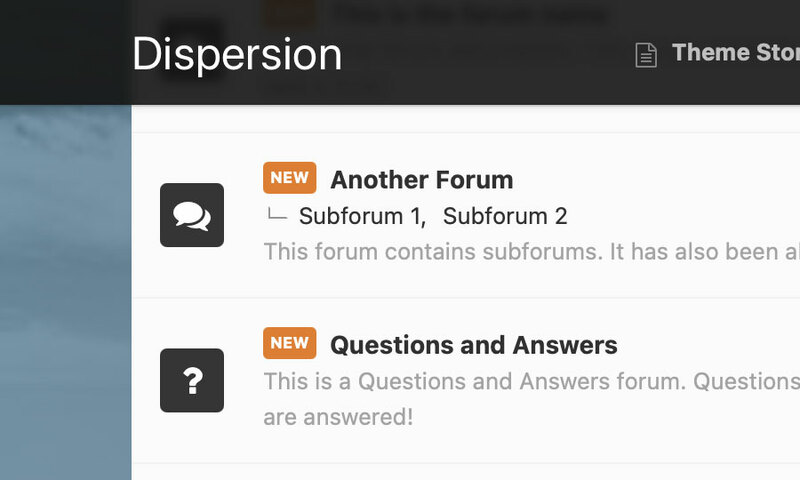 Additionally, the animation effect can be paused by your members if it hinders their browsing experience. The header collapses on-scroll, and stays at the top of the screen for easy access. 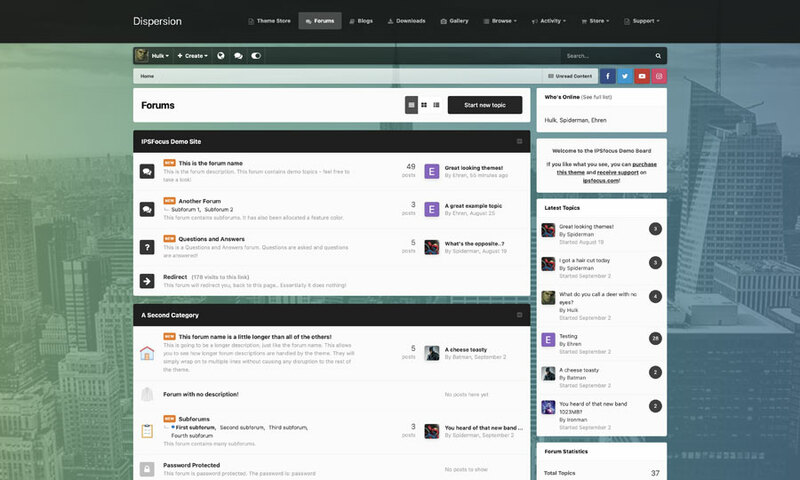 The header shrinks in size and sticks to the top of the page for easy access to user controls and the board index. An animated gradient scrolls horizontally beneath your background image (which is a simple black & white jpg image reduced in opacity). Each member can choose to either play or pause the animated gradient effect. This is especially helpful for weaker computers which may struggle to efficiently animate the gradient. The decision is saved via cookies. The position of the gradient background is randomized on each page load. Members can choose to use a greyscale background instead of the rainbow effect by clicking a simple toggle button. Their choice is saved via cookies and remembered for their return visit. If enabled, your members can choose their own background image from a predefined selection and their choice is saved via cookies.